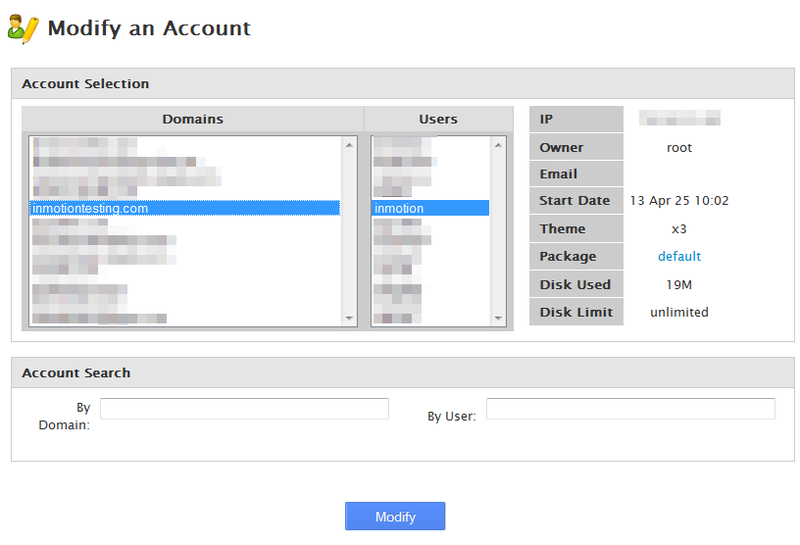 A fairly common request we see is how to change the cPanel username for an account. This is not allowed on a shared server and requires root access even on the VPS and Dedicated accounts. The instructions below demonstrate how to change the cPanel username of an account within the Web Host manager (WHM). Locate Modify Account in the left hand sidebar and click on that option. This leads you to the list of accounts on the server. Locate the account you want to work with. Click it to highlight it and then click on the Modify button. You will now see a list of attributes you can change. Located at the top of the page is the Username field. Erase the current username and enter your new one there. Once you have changed the cPanel username, click on the Save button. You should get a success message indicating that the name has been changed. 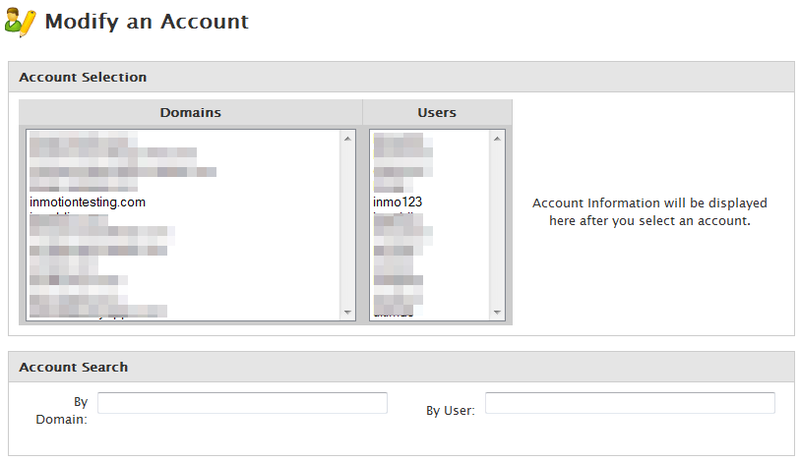 The image below displays a new cPanel username as it will appear in the account list. Once the cPanel username is changed, you can use it to log into the cPanel. Be aware that you may need to alter the code for any program that uses thecPanel username to connect to the site or server.